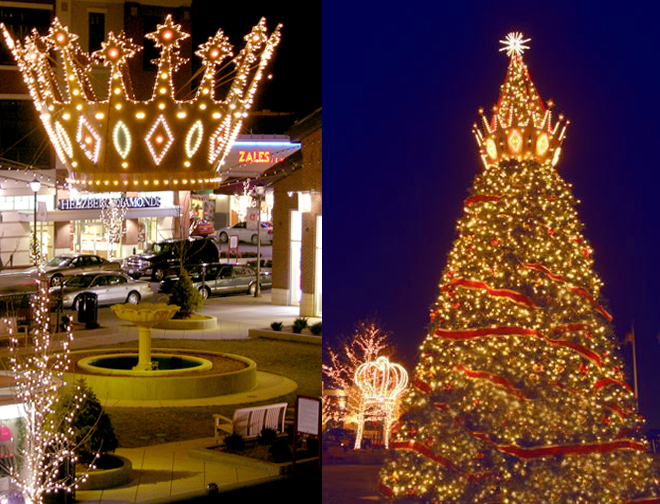 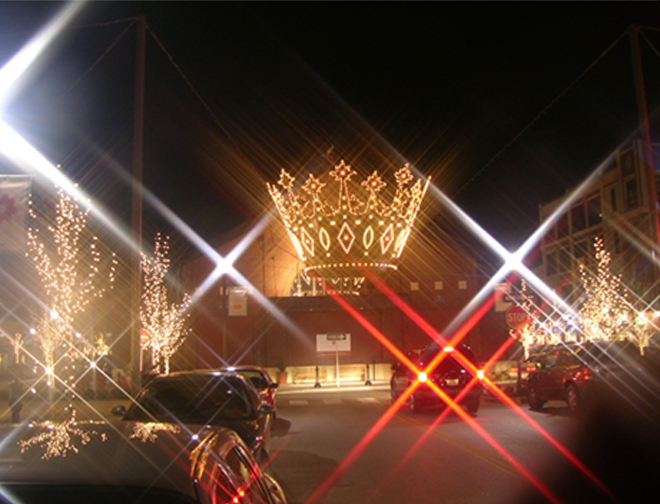 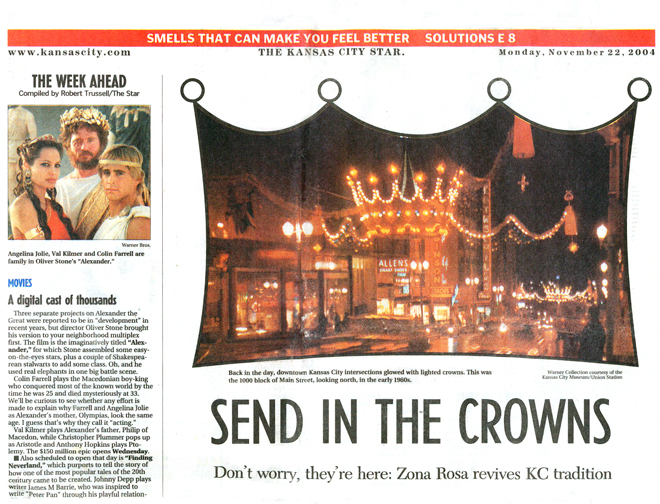 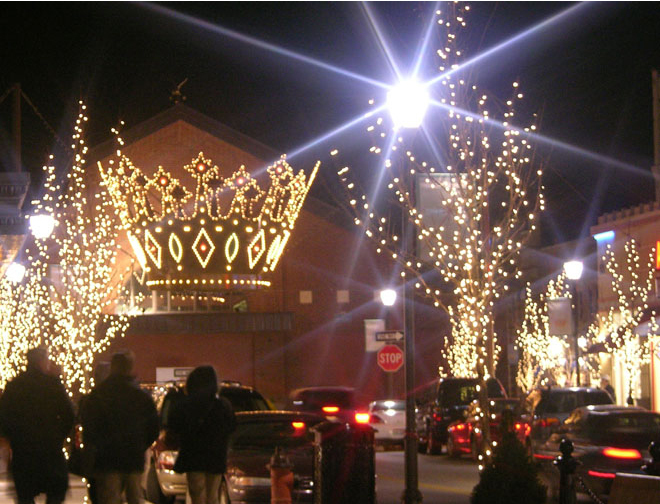 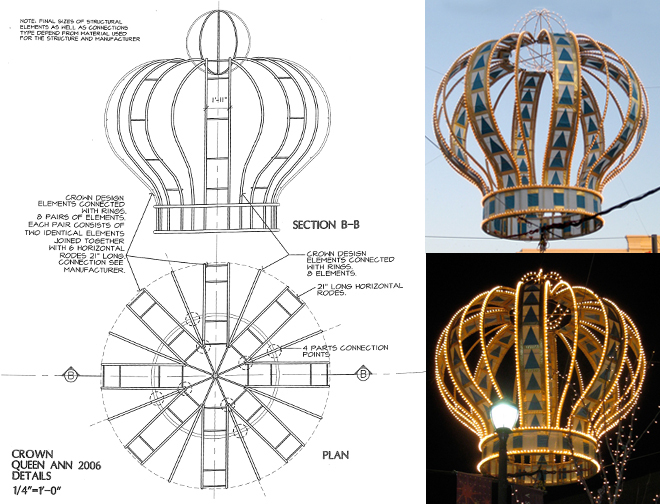 Sardi developed the signature holiday crowns suspended across the streets of Zona Rosa Town Center as an homage to the Kansas City tradition of large lighted crowns that illuminated KC’s downtown streets up until the 1960’s. 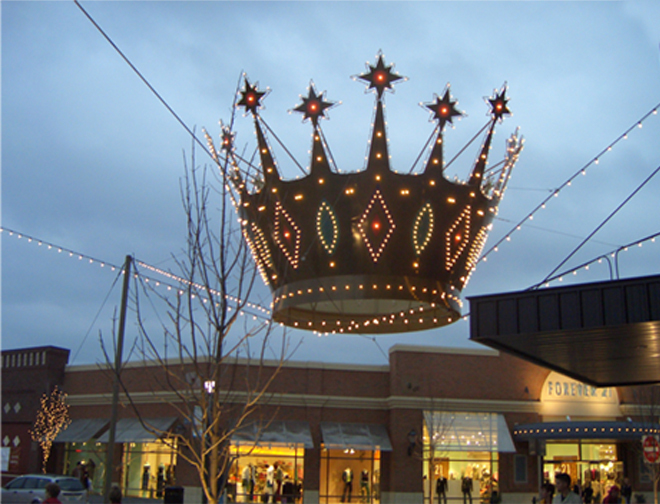 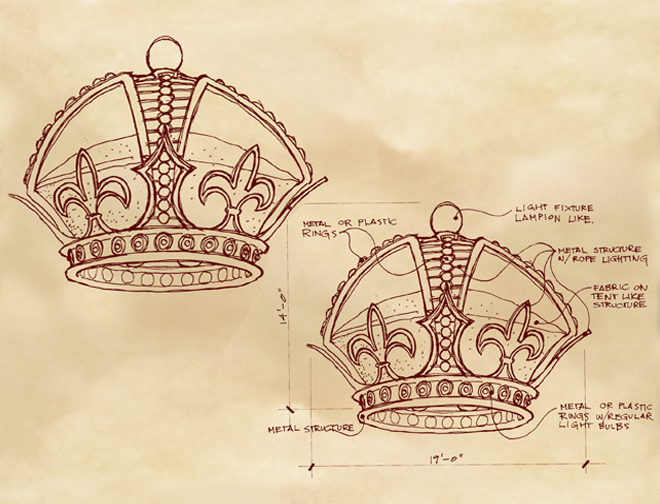 The crowns may be found throughout Zona Rosa’s courtyards and street intersections. 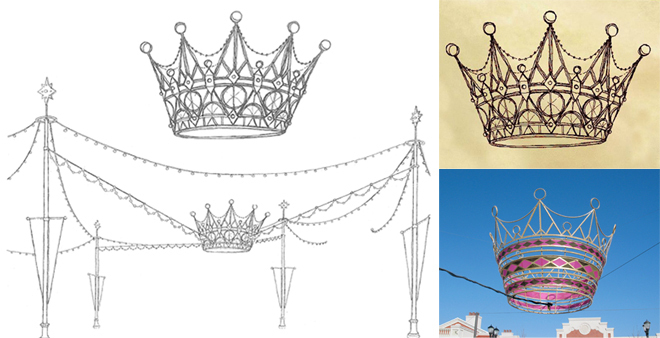 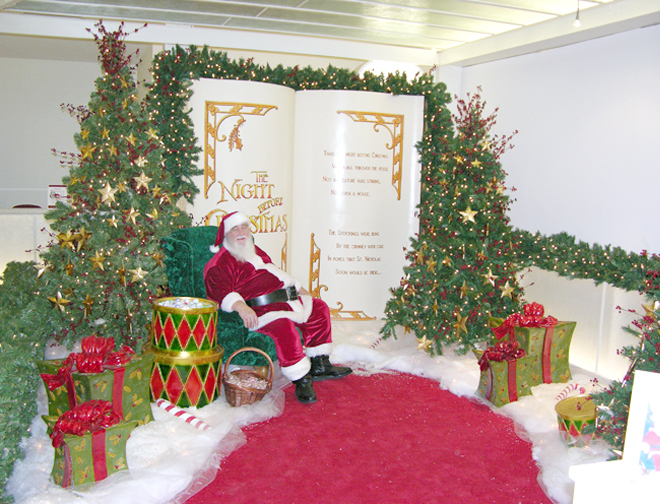 Each year a new design is introduced as part of the holiday celebrations relating back to the styles of the historic crowns (Imperial, Queen Anne, Queen Elizabeth, etc).